Chris is a seasoned professional who has worked within the implementation consulting industry for more than 30 years. He has a proven track record of helping senior executives realize the accelerated execution of significant strategic and operational goals. Chris has past experience working with many Fortune 500 companies across a broad range of industry areas including aerospace & defense, industrial manufacturing, electronics, high tech/electronics, energy and financial services. The improvements have included operational execution, top-line growth, pursuit & capture acceleration, procurement, logistics, supply chain optimization, and organizational development. 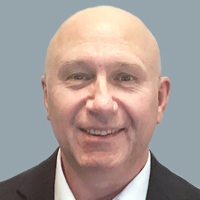 Before joining Maine Pointe, Chris was vice president at an aerospace & defense consulting group. During his nine years in this role, he was responsible for market analysis and new business introduction in the Americas, EMEA and Asia. Prior to this assignment, Chris spent six years as a vice president at a US-based consultancy where he was responsible for the North American energy, aerospace & defense and financial services sectors.